Showing results 1 - 5 of 41 for the category: Book Reviews. Every now and then I do a round-up of books you might find interesting, the ones that are accumulating by my bedside. Haven’t done one for a while, so here are a few books that you might enjoy that I have found especially fascinating of recent. I have also given the links to where you can buy them direct from the publisher, should you so wish. 1. Resilience: why things bounce back. Andrew Zolli and Ann Marie Healy (2012) Headline. 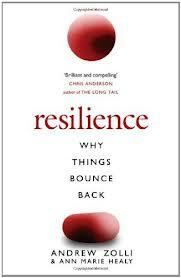 I’d go so far as to say that this is the best book I have ever read on resilience. After as good an explanation of the core idea as you’ll find anywhere, ‘Resilience’ goes on to look at what it looks like in relation to individuals, groups, communities, and society as a whole. I found it fascinating, packed with insight from a range of fields and disciplines, and inspiring in the clarity of why this stuff matters. I particularly liked the bit that said “no such system is ever perfect, indeed just the opposite: A seemingly perfect system is often the most fragile, wile a dynamic system, subject to occasional failure, can be the most robust. Resilience is, like life itself, messy, imperfect, and inefficient. But it survives”. If you only read one of these book suggestions, make it this one. The other day I appeared on BBC Radio 4’s programme ‘A Good Read’, where three people suggest books for the others to read and then you all sit around and discuss them. It was great fun, although the other panellist didn’t think much of my book. After the programme I got two emails. One from someone picking me up on my grammar: “while you obviously no nothing about gerunds or gerundives – where verbs act as nouns – and your saying “him learning about …” – when, obviously you should have been saying “HIS learning about …”, and the other from someone whose father had known John Stewart Collis, the author of my book choice. Anyway, here it is, I hope you enjoy it. 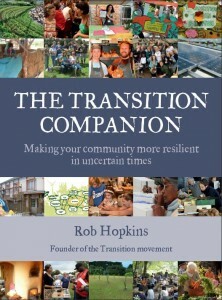 Here is a review by Caspar Walsh, from the latest edition of Resurgence magazine, of the film ‘In Transition 2.0’ and of ‘The Transition Companion‘. This dual review looks at the new documentary from film-maker Emma Goude and the pairing of it with the latest paperback offering from Transition co-founder Rob Hopkins. The Transition movement offers one possible solution to the problems and challenges arising from peak oil and climate change. It does this through a series of initiatives focused on the self-motivated rebuilding and reskilling of communities across the globe. It is an extraordinary worldwide movement giving rise to an ever-growing list of amazing and inspiring grass roots projects. And this latest book and film demonstrate that this 21st-century global phenomenon continues to expand and thrive. 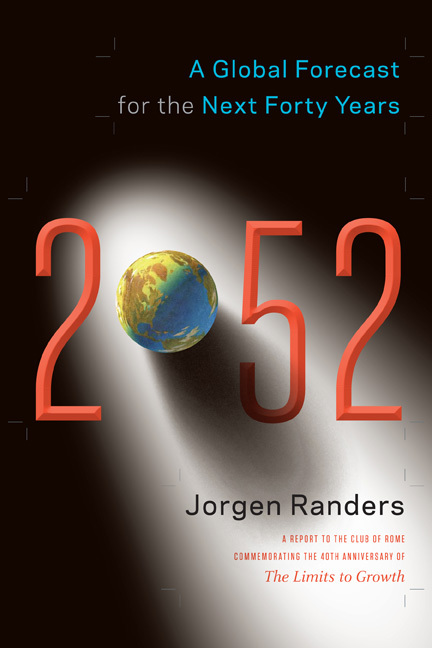 I am reading Jorgen Randers’ new book ‘2052: a global forecast for the next forty years’, due for publication next month. 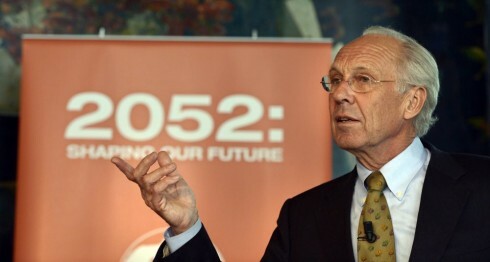 Imagine a ‘Limits to Growth’ for the next 40 years, a presentation of Randers’ best guess as to how the world will pan out between now and 2052. As you can imagine, it’s not an uplifting read, but it is often illuminating, even though I disagree with some of his findings. Surprisingly, the most challenging bit comes at the end of the book, after all the graphs and charts, and talk about 2 degrees of climate change, of our inevitable mega-urbanisation and so on. It will hopefully prove to be the spark for a fascinating discussion here.